Equitable Group Inc. is a financial services business that operates through its wholly owned subsidiary, Equitable Bank. Equitable Bank is the ninth largest Schedule I bank. The bank offers a wide range of residential and commercial lending and savings solutions to its clients, who range from business-for-self borrowers to newcomers to Canada and commercial real estate investors. The saving solutions offer security and attractive interest rates, including Guaranteed Investment Certificates, High Interest Savings Accounts, and deposit notes. The bank’s operations can be organized into single family lending services, commercial lending services, securitization financing, EQ Bank and brokered deposits. Equitable operates through a network of independent mortgage brokers and other business partners across Canada. The bank serves its clients from coast to coast through its branchless banking model and customer first approach. Equitable Bank has approximately $27.5 billion in assets under management. Starting in 2018, the bank started to diversify into adjacent business such as reverse mortgages and cash surrender value LoC through its commercial lending platform. Equitable Bank is known for its superior customer service. The bank is attracting more customers through its innovative digital platform. 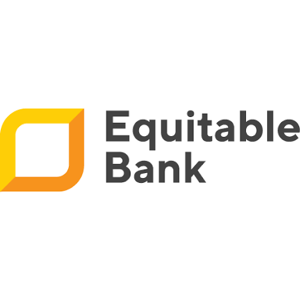 EQ Bank is the digital banking arm of Equitable Bank, which provides digital banking services to almost 71,000 Canadians and has garnered $2.2 billion in savings deposits so far. It was launched to provide select deposit products (such as EQ Bank Savings Plus Account) directly to Canadian savers. Equitable Bank has a strong reputation for providing competitive rates as both a Prime and Alternative lender, which positions it well to address the changing environment. The bank is known for its quality assets, excellent loan to value and loss ratios. It principally lends in the major urban areas having huge housing demand and liquid real estate markets. The bank is growing organically as well as through acquisitions. It recently completed the acquisition of Bennington Financial Services Corp, which will help to expand the bank’s footprint in the equipment leasing market in Canada. It had received a backstop funding facility of $2 billion from all six of Canada’s largest Schedule I banks. Equitable Bank experienced a good rate of growth in the single family and commercial lending segment and is also expecting asset growth in the high single-digit range in 2019. The bank has introduced reverse mortgage and CSV line of credit offerings which should drive growth across a wide spectrum of the secured lending market. Over the years, the bank has developed extensive partnerships with Canada’s mortgage brokers and bankers, deposit agents, investment dealers, and financial planners. The group is focusing on growth through extending its reach, introducing new products as well as retaining its position as Canada’s Challenger Bank. Equitable Group has been successful in compounding its dividend growth at 12.5% CAGR, in the last five years. The bank sports a dividend yield of 1.85% currently and has a payout ratio of just 12% signifying enough room for future growth. The last dividend growth amounted to 7% for this Canadian Dividend Aristocrat. It has also grown its earnings at 14% CAGR over the last decade. Equitable Bank has been successful in growing its AUM, net income and dividends over the past five years. It has been shifting more towards single family residential mortgages since 2009, as they typically generate a higher ROE than commercial mortgages. The bank has a low level of fixed expenses and a flexible cost structure owing to its branchless operating model without any retail presence. This has led to the bank maintaining industry leading efficiency ratio. Equitable is in a good position to tap the growth opportunities to achieve positive returns in all markets. It is focusing on markets that are not well served by Canada’s larger financial institutions. Equitable’s diversified businesses across a wide spectrum of secured real estate assets further reduce its risk profile. The management is expecting earnings to grow in 2019 on the back of growing loan portfolio, higher margins and Bennington acquisition. Its AUM is expected to grow in the 8% to 10% range in 2019. The banking environment is highly competitive. Equitable Bank competes with other banks, trust companies, insurance companies, and financial services companies. A few of its competition include Home Capital Group TSE:HCG, First National Financial Corp TSE:FN, MCAN Mortgage Corp, Atrium Mortgage Investment Corp., etc. Equitable Bank is strengthening its digital offerings and is leveraging its capabilities to grow in adjacent markets. The Bennington acquisition is expected to further drive value creation and diversification. The bank is also targeting to capture market share by expanding the range of savings products and services through EQ Bank over time. A low payout ratio and growth opportunities should enable the bank to keep growing its dividends in the high single-digit range, going forward.